Between 1919 and 1925, the Milan-Naples street race was held annually. 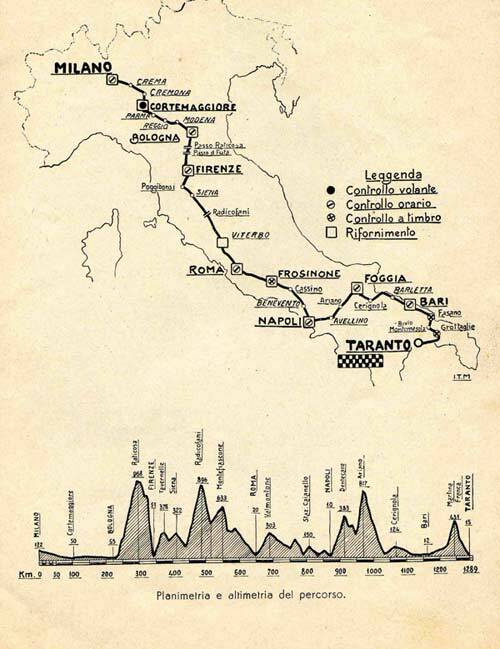 From mid-30s, the trail was extended to Milan-Taranto. With a break between 1940 and 1950, this long distance race was held 16 times until 1956. The distance of approximately 1.300km was covered almost non-stop in about 12 hours. In 1955 Bruno Francisci booked the victory on a Gilera 500/4. He had covered the distance in 11 hours, 5 minutes and 25 seconds, an average speed of 126.234 km/h. And this on the public road! From 1956 the race was banned by the ever-increasing speeds and insecurity. Equally this applied to the "Mille Miglia", the famous 1,000 miles car race. 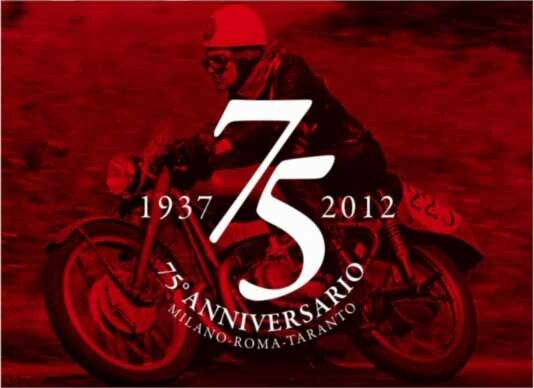 During the 50s of the last century, also riders on Moto Morini joined Milano-Taranto. 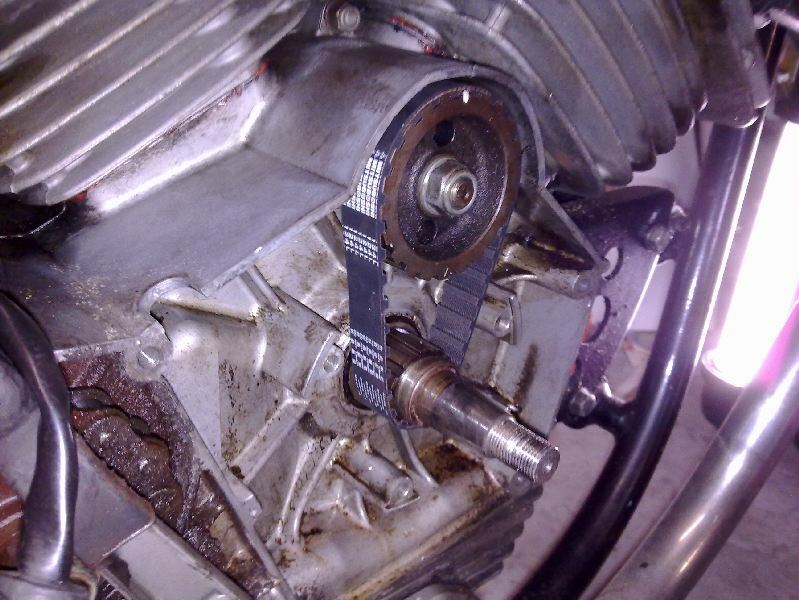 The factory developed the "Rebello" 175cc specially for this purpose. The Italian rider Mario Preta covered the distance on his Moto Morini Rebello (175cc) in 12.08'.45". 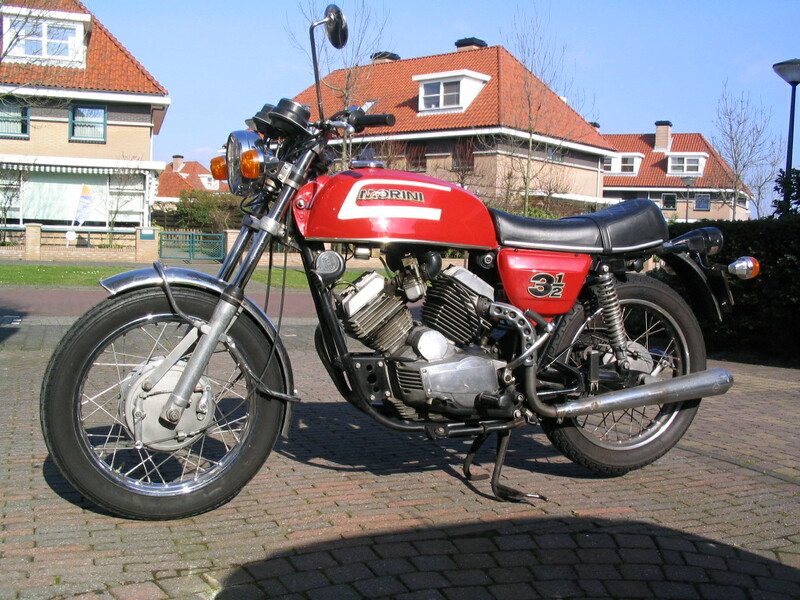 From the early '50s of the last century, most Moto Morini motorcycles had a 175cc single 4-stroke engine. 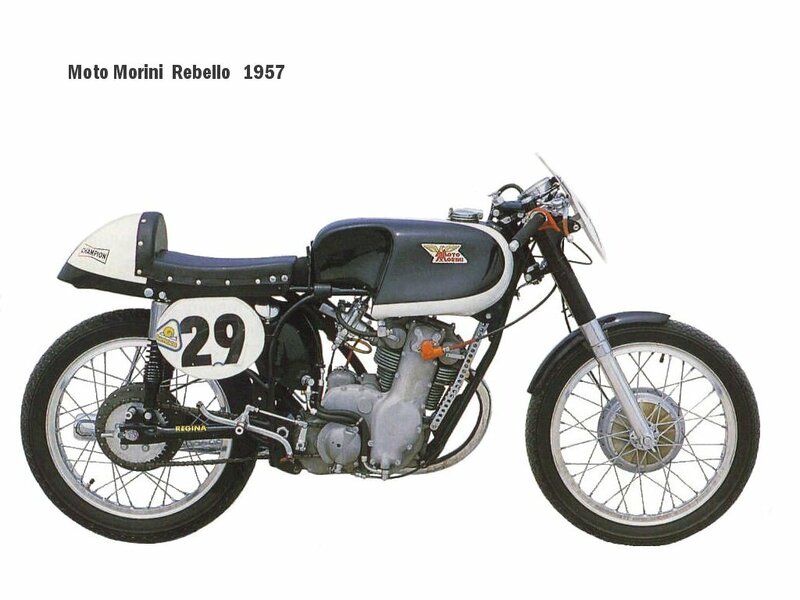 In '53 or '54 the factory presented the Rebello, a 175cc racer available for private riders. With that, the factory killed more than two birds with one stone: a racer for private riders to (also) demonstrate realibility. In case of good results, brand recognition and reputation (fast and reliable) would be infuenced positively. From 1954 excellent results were achieved with the Rebello. 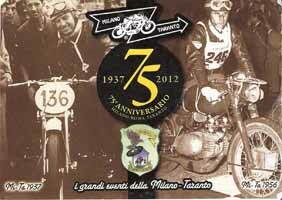 In 1956 - last year of the Milano-Taranto roadrace - places 1, 2 and 3 in the final classification of the 175cc were achieved. Of course this was a more than excellent result! Lhs route map from the 50s, from the road races. Included are the check posts. Distance of the road race was app. 1.400km's (app. 875 miles). Clearly visible are the upgoing results: 1954, 3rd place, 1955 1st and 3rd, 1956: 1st, 2nd and 3rd! 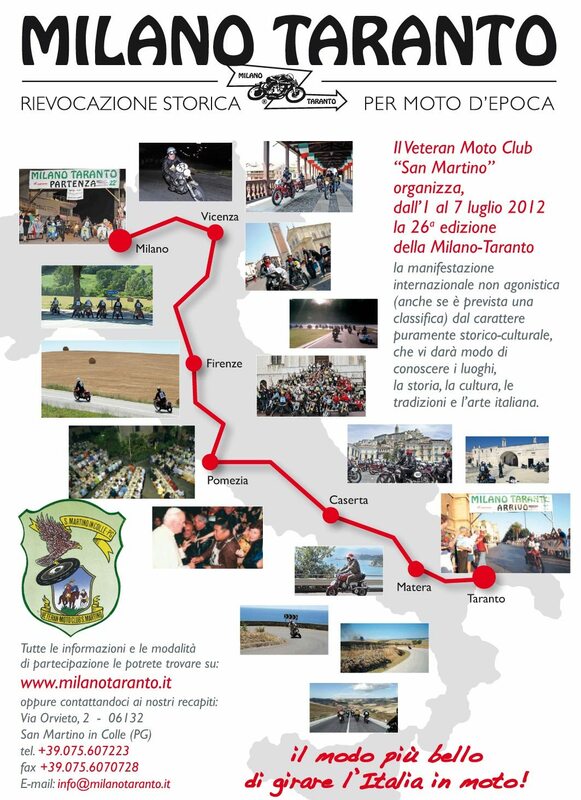 From 1986 onwards, 'Moto Club Veteran San Martino' organizes the rally Milano-Taranto for classic motorbikes. The route of app. 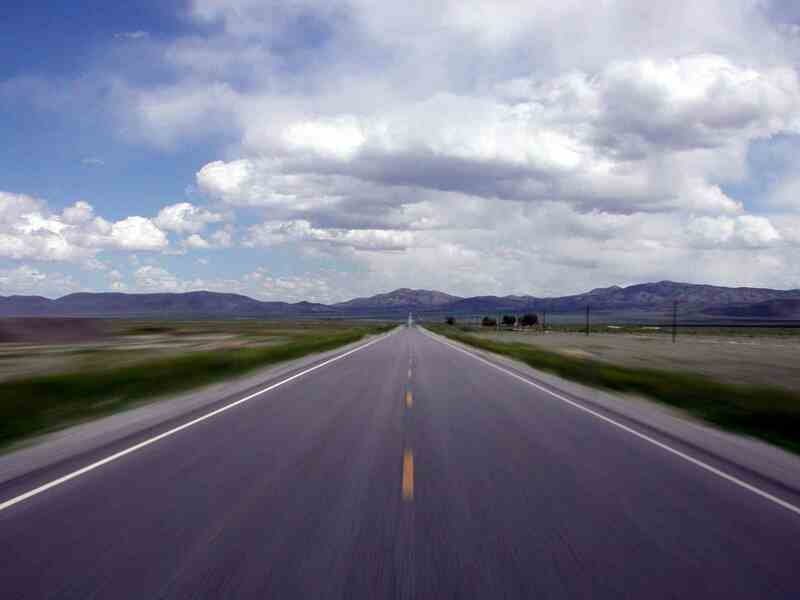 2,000km's (1,250 miles) has been devided into six stages of approximately 350km's (200 miles) each. 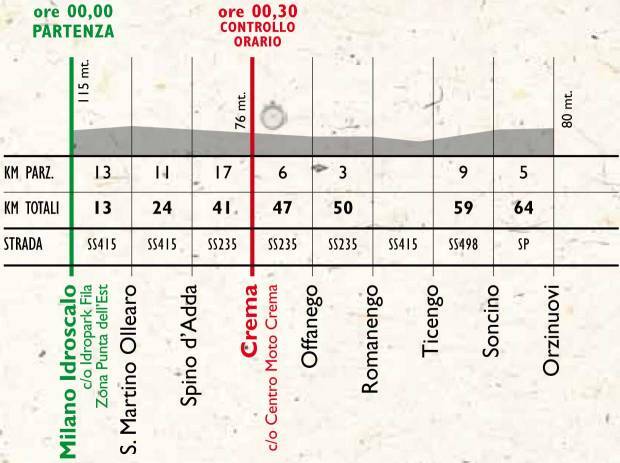 The first stage starts - exactely like the former road race - at midnight. Fortunately, all other stages are ridden during the day. The route avoids motorways and follows secundary roads through the most beautiful regions of Italy. Many volunteers of local motorcycle clubs not only prepare for the catering during the stops, they really make you feel welcome in their surroundings. Hotels along the route are excellent. 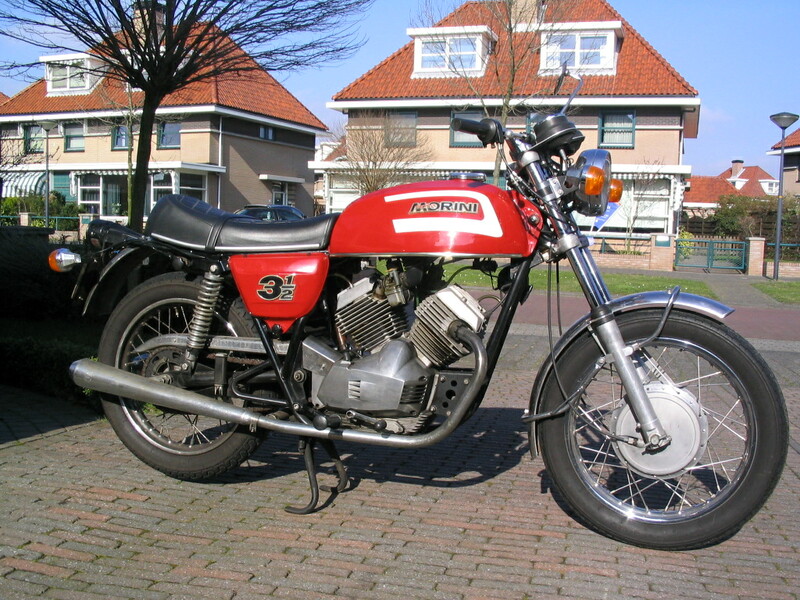 Motorcycles and riders are divided into various classes, according to the engine size of the bike. If you join the Sportclass, you're into a kind of enduro class. It's not necessary to arrive first, but it is important to leave in time from the stops. Furthermore, once a day there is a kind of test to pass a line on the street as close as possible to the given time. With this test you can score positive (bonus)points and try to neutralise negative (pentalty)points. Contrary to what you would expect in Italy, Milano-Taranto is very well organized. Apart from mobile technical support, there is even an ambulance. After my registration through the Dutch Aermacchi Club back in December 2011, I met my fellow-participants in Marchin the center of the country. The size of the group of Dutch participants: 16 people. Compared to 2007 the overall fieldof riders became more international. Five years earlier mainly Italians, Germans and Dutch joined. Now there were ridersfrom more nationalities at the start like British, Canadians, an Australian and even a Swede. Mid-April I received a message from Claudia of the Italian organization to inform me that my participation was accepted. Early June, the starting numbers were published on the official website. My number: 117. After that I searched for the 'old' yellow plates of 2007 to bold on my bike. I bought new sticky numbers of 15cm. The yellow sign refers to the 'sport class. Pre 1960 bikes use white shields. 1st stage starts at midnight. Route along the westbank of Lake Garda. On the way to Vicenza one mountain of 1150m. From Vicenza. Mainly 'flat' roads. Last 100kms: 2 mountains of 1173 and 1020 meters. Along the coast near Rome. Five passes through the Apennine Mountains. The list of participants on the official website of the organization showed that 9 participants registered with a Moto Morini. 1 Corsarino (50cc), 1 Corsaro (125cc). Noteworthy that in 2012 no Morini's were registered for the 175cc class. In the other rally for classic bikes, Moto Giro d'Italia, often the Morini 175cc riders took home the prices. 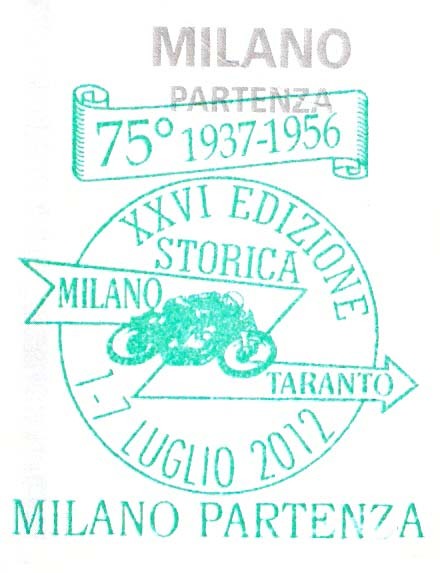 In total, the number of riders of Milano-Taranto 2012 consisted of 155 solo motorcycles, 22 scooters, 4 sidecars, 31 modern bikes in the gourmet class. In 'my' class, the 350cc, 7 (!) out of 15 participants, or 47% on a Moto Morini 3 ½. 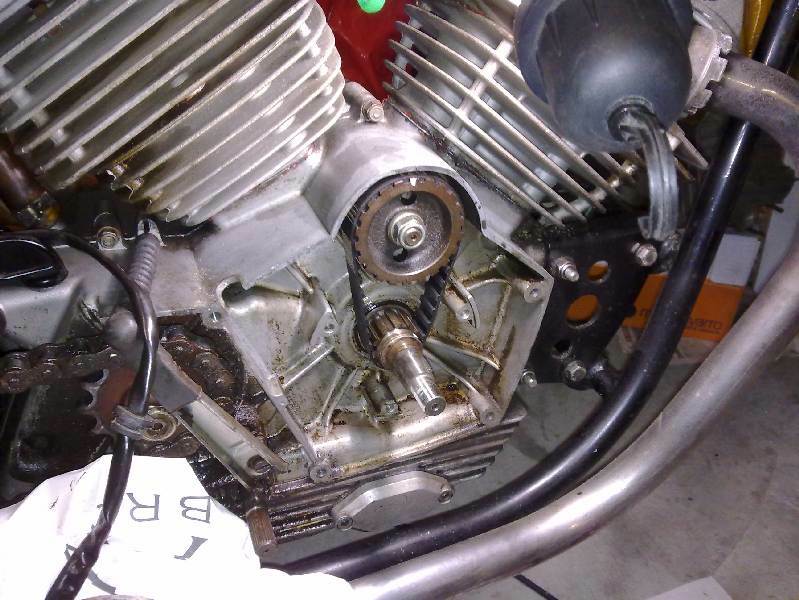 Excellent proof of the suitablitity of the Morini 350 for this rally. Not only a very reliable bike, also the handling is superb. Above and below some pictures of maintenance: changing the cambelt. Wim had bought me a new Mitsuboshi cambelt. More difficult to buy these days, as the importer no longer sells to individuals. Last change of the belt was done back in 2007. The old belt was still looking fine. Also the ignition timing was retarded some 5 degrees. This was done to prevent pinking of the engine up hill. 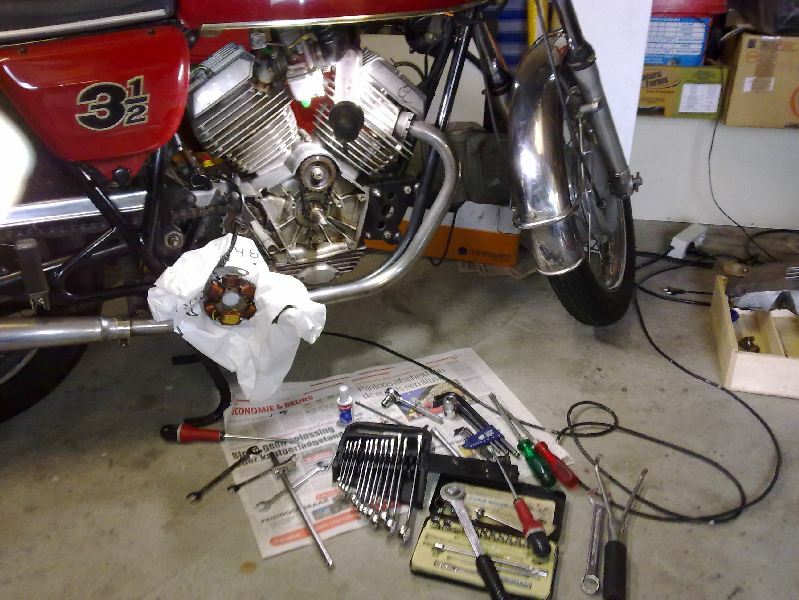 The Morini wants 98-100 RON petrol (gasoline), but this is not available in Italy. Most likely, the petrol is 95 RON, but back in 2007, I was not able to confirm this, due to lack of clues at the fuel stations. Specially for the stages in the mountains, I bought 'octane booster'. Also I bought a mini-jerrycan of 2 liters, just in case the next fuel station would be a little further than anticipated. 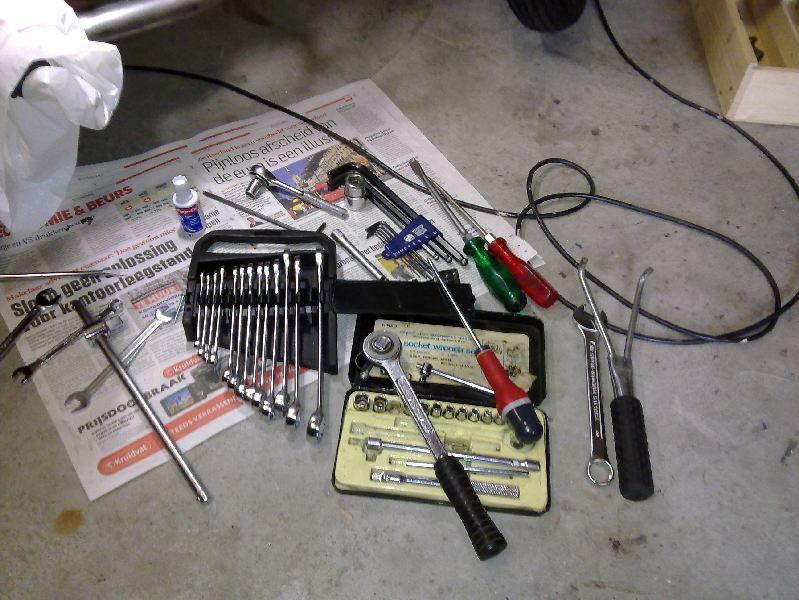 Next, I checked the tyres of the bike, the brake cables, brakes, chain, lights, etc. All in excellent shape.